Abvent store let you choose your prefered payment mode. Credsit or Debit card payment is a simple but yet fast and secured way to buy online. No information are leaked during the process. 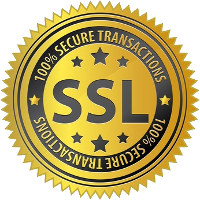 We use SSL to be dsure all transactions are secured. Since 1998, Paypal is a simple and secured online payment solution. You also have the option to shop by specifying only your email and PayPal password.